How about a Green Sriracha sauce? When the Sriracha sauce’s factory was threatened with closure, the foodie world went into a frenzy. Like, there are people out there genuinely concerned about the potential shortage of their beloved red Sriracha sauce. The LA Times even published their solution to the potential shortage by sharing their recipe on a DIY Sriracha sauce. Luckily, the court overturned the ridiculous suit and the world is all well again. For now. The recipe from LA Times was easy enough with only 5 ingredients and 25 minutes from start to finish. I started to wonder, how about a green Sriracha sauce? “Don’t be silly”, my friend tweeted back. Well, silliness is what got me 2 x 250 ml of green Sriracha sauce. And it’s pretty dang good! I followed the recipe very closely in a way, the only thing different are the proportions of the ingredients and the chilies I used, of course. 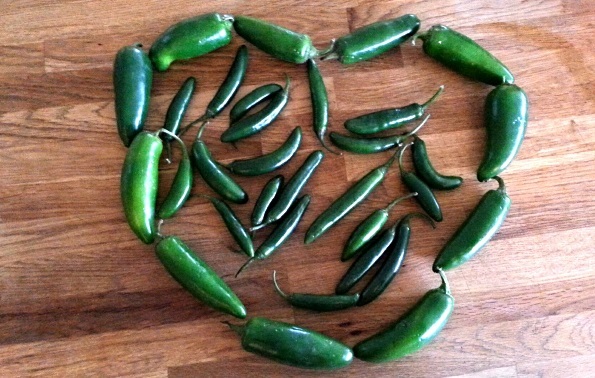 I had more than 1 pound of chilies to work with so I taste-tested along the way to come up with the measurements below. You’re welcome. My lips are burning and my nose is leaking like something awesome as I’m writing this. Okay, TMI. Remember to not rub your eyes with your chili fingers. You don’t have to remove the seeds and stems from the chilies. You will need a food processor/blender. 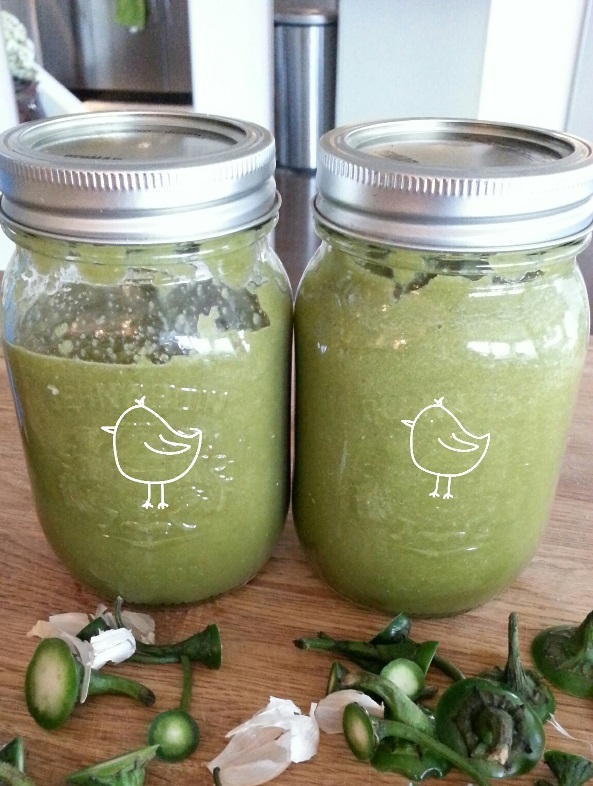 This recipe uses serrano and jalapeño but you can use other green chilies as well. Put all the ingredients in your food processor and blitz until the chilies are blended. Or if you’re like me in that you have a small blender, do this in batches. The green Sriracha sauce won’t mind. Now cook your chili paste on high heat for 5 minutes in a non-reactive pot, so no cast iron pots, guys. It’ll turn brown otherwise. You now have the beginnings of your green Sriracha sauce. Blend the concoction again until smooth and strain it through a fine mesh over a large bowl. Push the pulp through until all that is left are grainy remnants of the chilies. 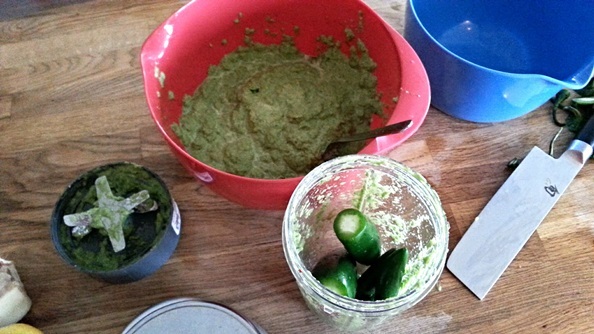 Pour your green Sriracha sauce into an old Sriracha bottle or into mason jars. Or pour it directly into your mouth and have a side of burgers, steaks, chicken, fish, sandwiches, soups, rice, chips, whatever.